Garlic is wonderful - it has powerful medicinal qualities and makes food taste fabulous. 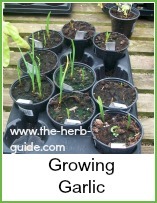 There are so many garlic pages on this site, that I thought I'd make a bit of a garlic 'hub' so you can find what you want quickly and easily. 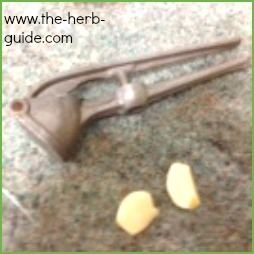 The video below shows how to remove the 'germ' from the fresh garlic so that it won't smell - check out and see. 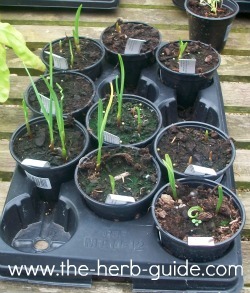 I think he means the germination sprout - it's the bit which will make the stem when the clove sprouts. It really does work, but I don't know if it affects the medicinal benefits. The next time I have a cough, I will try it without the 'germ' first and see if it is as effective. If anybody knows, please write and tell me if it's as effective or if this is where the properties of garlic are concentrated and so the efficacy is affected. 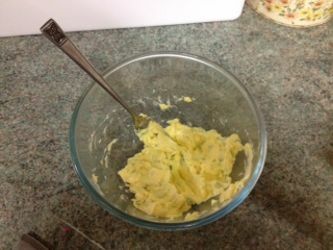 Garlic butter is one of the most fabulous things - you can keep it covered in the fridge for a few days or freeze it in discs ready to pop onto plain cooked food or use it to fry with for any recipe that calls for garlic. 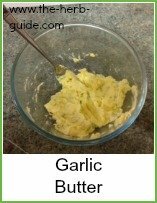 Click on the photo to see how super simple it is to make garlic butter with step by step photos. Read more by clicking on the photo. 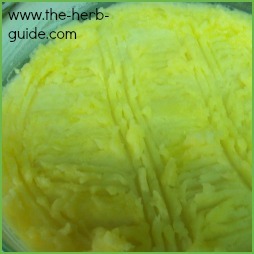 Make the butter - just mash a clove and some chopped parsley into some softened spread. Slice some crusty bread and toast under the grill on one side, butter the other side and pop under the grill until it's brown. 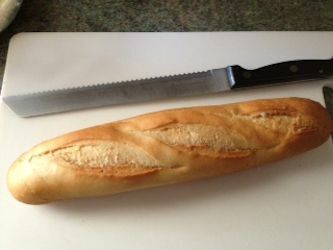 This works if you only want a couple of slices for yourself. 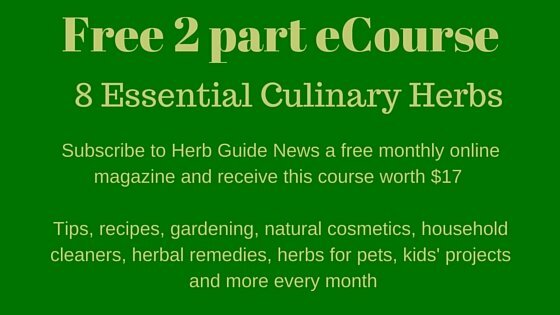 If you want to make it for more, then click on the photo for step by step instructions. 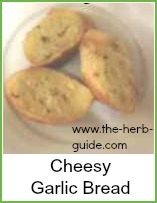 This is one of my real favorites - cheesy garlic bread - just heaven. Garlic bread and cheese, what more could you want? A nice plate of mussels or a tomato pasta or - making me hungry! Click on the photo for step by step photo tutorial. 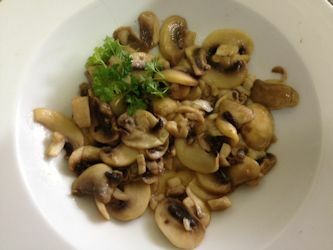 Garlic mushrooms are extremely popular as a starter or side. Step by step photo tutorial - you know where to click! 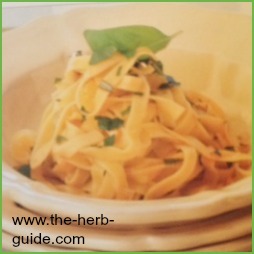 A very economical Garlic and Chicken Pasta dish. You can use the trimmings off the roast chicken - it really only needs about 1 cup (4 oz, 100g) of chicken for this dish. It is so easy to incorporate into your diet as well as the recipes here show. No need to persuade everybody 'oh honey, do eat this, it's so good for you'. I just adore mashed potato - garlic mashed potato in particular is so wonderful. The smell as it comes to the table, wafting up under your nose. You'd think you'd gone to heaven. 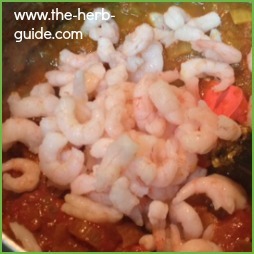 It's so easy to make and you will get some of that lovely healthy garlic at the same time as eating your meal. Garlic shrimp - where would we be without garlic shrimp? Buttery, garlicky, shrimpy - you'll need loads of bread to mop up those juices. Try this method and see how quick and easy it is to get this tasty dish on the table in double quick time.